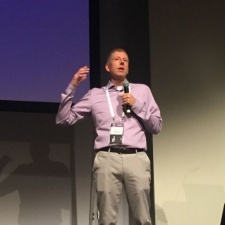 Twitch’s executive VP of commerce Ethan Evans shared some insight at Devcom into how streaming is further enhancing games popularity. The commerce head began by explaining that, while not wholly surprising, Fortnite was one of Twitch’s biggest draws, with 630 million hours of the battle royale watched since January first of this year. 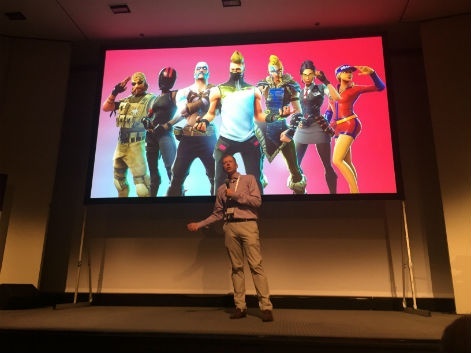 He then explained the building-centric battle royale title’s success was helped by-and-large by streamers and influencers briding the game to pop-culture and extending its reach past core-gamers. One incident involved popular streamer Ninja playing with recording artist Drake, which broke Twitch records with 600k concurrent viewers. Following on French football star Antoine Griezmann used the games popular “take the L” dance in the World Cup. “This is reaching hundreds of millions of people who may not have heard of Fortnite or played a video game,” said Evans. “But now they’re starting to learn about the game through broader culture. “It also taps into parents who aren’t sure how much to let their kids play the game. Now they see their sports hero, their national hero, validating it. Evans credits Fortnite’s success on Twitch, and the platforms wider appeal with gamers, as being down to giving players control. Along with choosing what to watch, players can be involved in streams by typing in chat or donating money or bits, which queues a sound being played. As such, even if a player isn’t personally playing a game they can still be engaged and involved through Twitch. In doing so, a streamer is able to express themselves creatively then audiences will be more endeared to participate themselves. The first step in making a game streamable is allowing for creative expression within it. 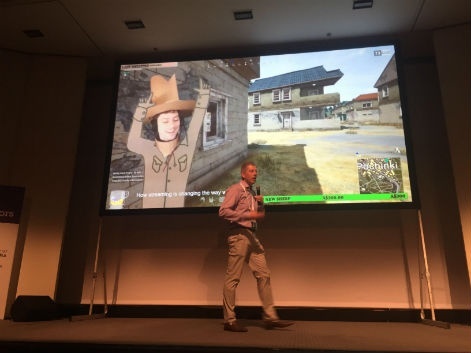 Showing a clip of a streamer playing popular battle royale title Playerunknown’s Battlegrounds (pictured below), the player got a double kill before he triggered music and a dance animation to celebrate. “You may think the dancing cowboy is hysterical, some of you laughed, some of you may think that’s really dumb,” said Evans. “It doesn’t matter. What matters is that now every streamer can take your game as a canvas and make it into their game, for their audience and make it more entertaining for a set of fans. Element number two in making a game streamable is competition according to Evans. He went on to explain that while story games have a pop on Twitch that they soon die down. Competitive games like Fortnite, PUBG and sports games tend to retain interest longer as they can maintain suspense players never know who will win. “Competitive games are going to tend to be more watchable because they have inherent conflicts,” said Evans. Rounding off, Evans believes that aspiration is one of the things that makes a game great and streamable. He explained that “streamers are the new heroes” in that they inspire people to either replicate streamers in-game achievements or go one better. “We know, by the way, that most people who watch your game on twitch, the first time they watch it they don’t own the game,” said Evans. He then when on to explain that players are motivated to pick up the title to one-up streamers. "Streaming creates this aspirational I want to try the game I just saw and as you all know it's the new way of discovery," said Evans. "Putting that out there so that streamers can show off your game is huge." Witnessing the growth of the influencer marketing space surrounding video games has been an incredible ride to be a part of. The streamer mentioned in the article is cardboard_cowboy, one of the more unique content creators we've seen this year!